It's roughly the same consistency as custard, but a brighter yellow - or even orange if that's what the cook's been using - and the scent of lemon wafting from the mix can transport you right into summer! As it does not keep too well, commercially made mixtures often contain preservatives and I've even come across one or two that use corn starch to thicken the mix. 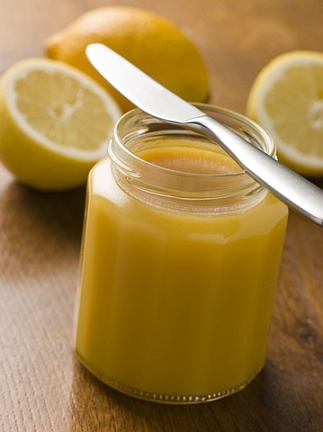 Lemon curd is easy to make, but requires a little patience. It's one of those kitchen jobs that I find deeply relaxing, calming and peaceful while listening to music or an audiobook. And while you're at it, why not make lime curd, orange curd or even grapefruit curd. Unusual maybe, but worth it..
- Stir about one-fourth of hot mixture into eggs; add to remaining hot mixture, stirring constantly. - Cover and refrigerate up to 2 weeks. Serve with pound cake, angel food cake, or Chocolate Gingerbread. I love using this to top fresh berries. Beautiful! Thank you for sharing! I wanted to try making homemade lemon curd and this recipe looks great! I love lemon curd and have never even thought about making my own. Yours looks perfect. You know I have lemons sitting on my counter that I planned to make lemon curd with and keep forgetting! This looks great, beautiful photo! I'm with you - there is nothing that beats the taste of homemade lemon curd. Great job! I've never made my own lemon curd, but this looks very attemptable! That's also a very pretty photo.